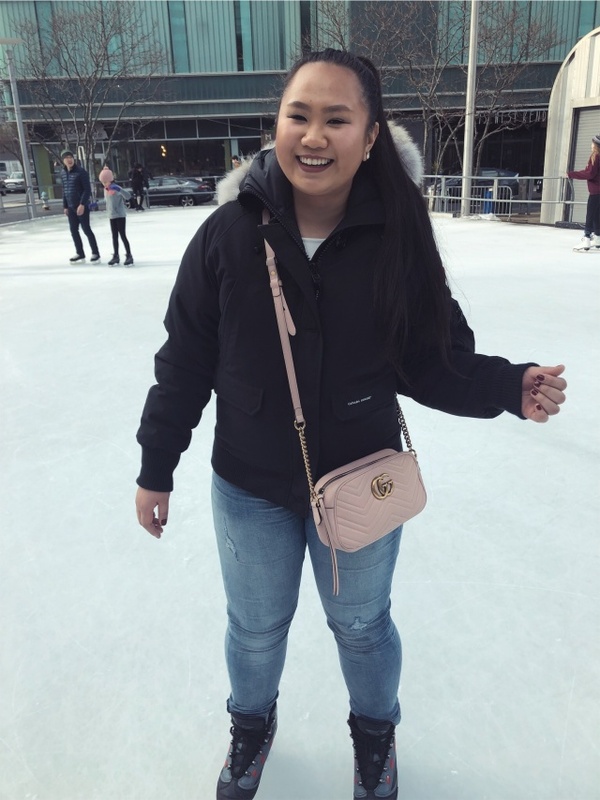 Winter Essentials + Ice Skating! I hope everyone is having a great week!!! It’s December here in New England and I could not be any happier. 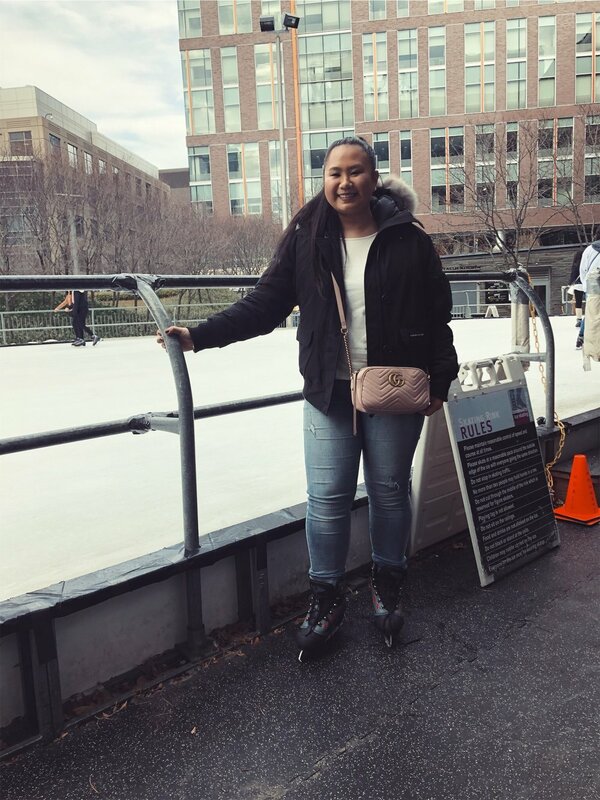 I love the cold fresh air, going ice skating, eating hot apple cider donuts, drinking hot chocolate and of course- the fashion. I love wearing my Stuart Weitzman boots, leggings and skirts and cozy sweaters! It does not get any better than that. I like being prepared for the most chilliest days- there fore I racked up a bunch of winter essentials! I already have hats, gloves scarves lined up for snowstorms and for days where Boston goes into the negatives. Yes- I am THAT prepared! I’m not gonna lie, my Gucci flip flops are the only things I wanna wear inside. For my winter coat this year, I decided on buying a Canada Goose jacket. It was a battle between the Moncler Avocette Jacket and Canada Goose Chiliwack Parka. I eventually narrowed it down to the Canada Goose. It was more affordable, it has a hood and I got it for a great price. My former roommate Mariama including her new roommate Chelsea and I went out ice skating in Kendall Square, Cambridge. Jacket - Canada Goose Chilliwack bomber jacket Size Large (I got the large because I wear bulky things under my jacket. Jeans - Lucky brand (not sure of the style) but the website is 50% off everything at the moment! Shoes - I am wearing ice skates in these photos but I wore my all time favorite Stuart Weitzman Prescott loafers. Bag - Gucci Marmont cross body in pink. You can get it here or here. I am obsessed with this crossbody! It fits a ton and I am a huge fan of Gucci Marmont. Below are some top picks for gloves! It’s great to have a nice pair of quality gloves to wear during the winter and for the years to come.